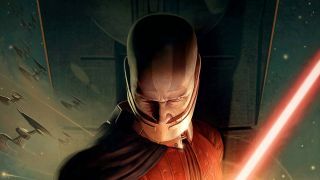 Ever wanted a Knights of the Old Republic movie? Game of Thrones showrunners DB Weiss and David Benioff could be giving us something pretty darn close if these latest Star Wars trilogy rumours are to be believed. For one thing, that means no more Skywalkers (at least for a while), and an area of a galaxy far, far away that hasn’t been explored in any of the movies from A New Hope right up until Star Wars 9. Colour me excited. Not only that, but there’s apparent confirmation we’re moving away from the current timeline, with the story potentially heading back “hundreds of years prior to the Skywalkers”. No Luke, no Empire, and certainly no Jar-Jar Binks. It’s as close to a reboot as Star Wars is ever going to get, and that’s something fans should very much be looking forward to. That is, if you want to believe the rumours, which should be taken with a pinch of salt. Not too familiar with the Old Republic? Aside from a couple of cult classic video games from both BioWare and an MMO from EA, it’s a side of the galaxy that hasn’t been mined too extensively. Jedi and Sith are still very much doing battle, but the Republic (or the Old Republic, as it’s referred to in later movies) is still in control of proceedings. But this is a period that can see Benioff and Weiss go anywhere and anything; having carte blanche in the Star Wars universe is going to make this new trilogy feel very, very fresh. We still don’t know when to expect the Star Wars trilogy from Benioff and Weiss, especially with Game of Thrones season 8 presumably taking up much of their time, but we can probably expect things to start ramping up in 2020. That’s at least according to HBO chief Casey Bloys, who has previously stated that the pair will move straight on to Star Wars after finishing up on Thrones. Tucked away in the report, too, is news that the Game of Thrones showrunners’ trilogy will apparently debut before Rian Johnson’s own trilogy. Perhaps they’ll alternate releases so we’ll definitely get a new Star Wars movie every year until the inevitable heat death of the universe? A man can dream. The new Star Wars trilogy may be a ways off, but there's still plenty of upcoming movies you need to get excited about.